For over a decade only a minority of marketers practice regular optimization practices that improve email marketing campaigns. The need for marketers to improve their optimization practices has led Return Path and the Relevancy Group to explore the state of email marketing measurement and analysis, as well as its role and impact on marketing performance. 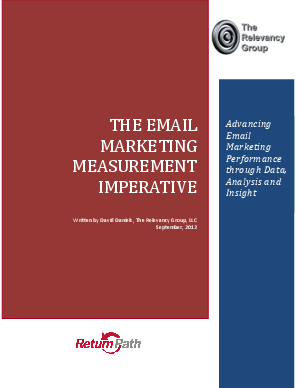 In this special report: “Email Marketing Measurement Imperative,” explore optimization solutions and mechanized applications to gather email marketing competitive intelligence and improve email campaigns.